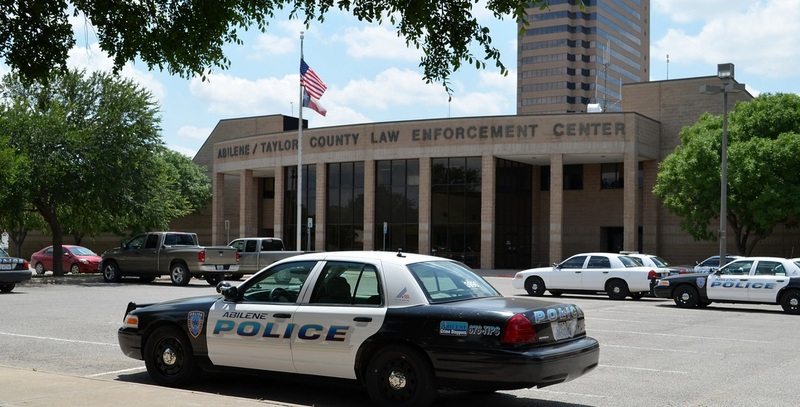 "In 1858 the Texas legislature established Taylor County, named for Alamo defenders Edward, James, and George Taylor, from lands formerly assigned to Bexar and Travis counties. Taylor County was attached to Travis and Bexar counties for judicial and administrative purposes until 1873, when these responsibilities were assigned to Eastland County. Partly due to the presence of Indians, the area remained largely unsettled. "The earliest group of European settlers in Taylor County were buffalo hunters and bone gatherers, who arrived during the 1870s. "As more people moved into the area, the county was organized in 1878, and Buffalo Gap, a small settlement near the center of the county, became the seat of government. 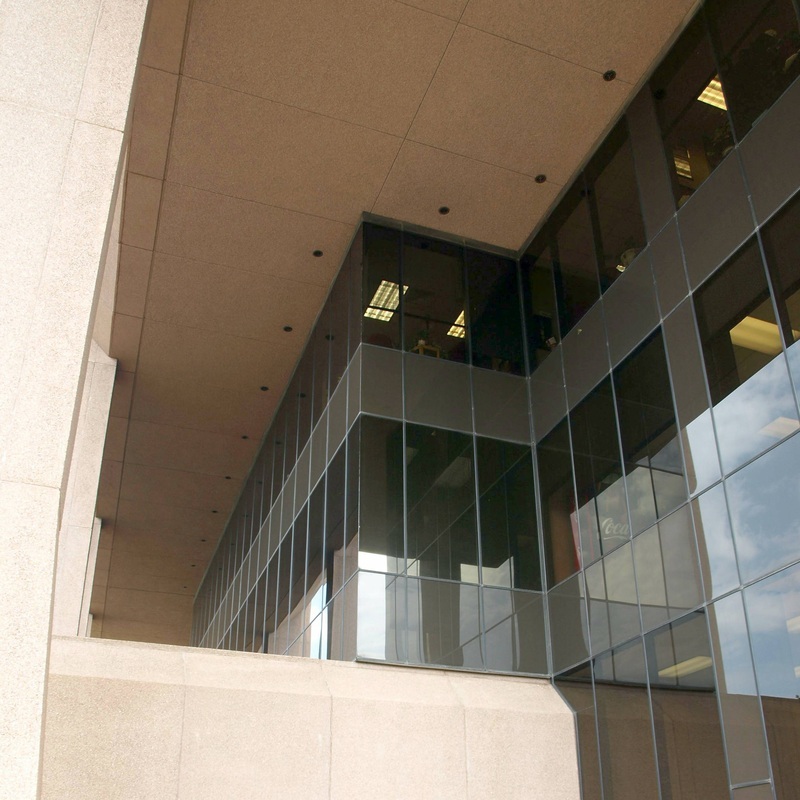 "While Abilene began to develop into a shipping center, Buffalo Gap declined in population, and, after an election held in 1883, Abilene became the county seat." 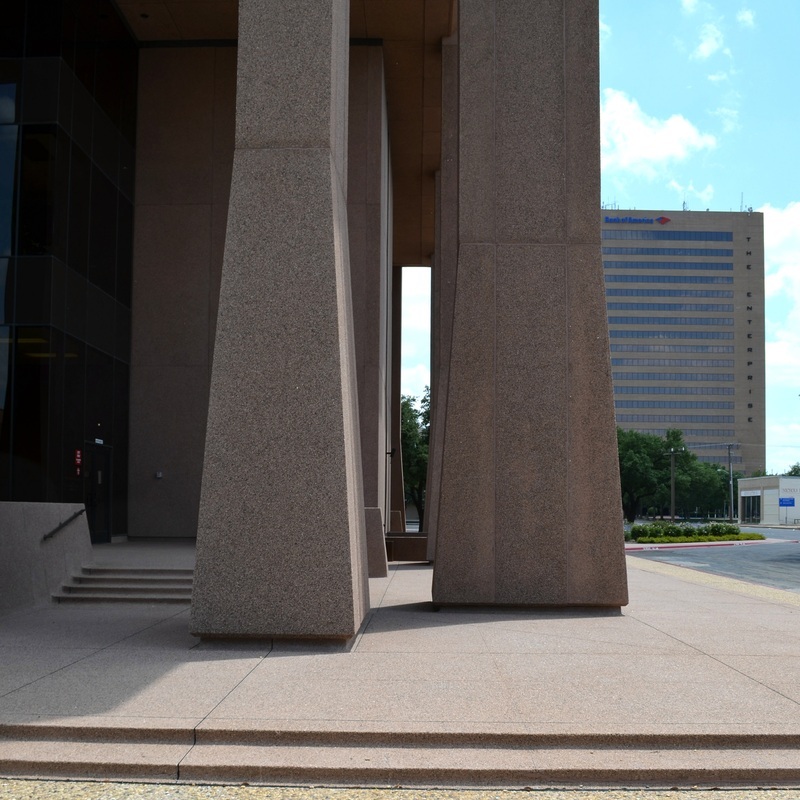 I visited the county and photographed the courthouse on July 26, 2010 and again on June 20, 2012. Taylor County is one of seven Texas counties I've lived in over the years. 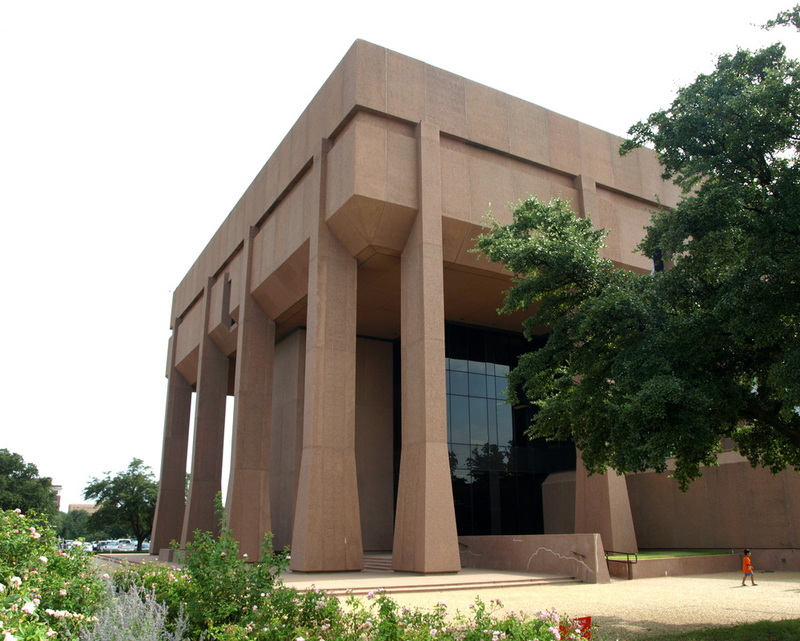 Abilene is home to my mother's family, the Brannan's, and was my home on several occasions in the 1950's and 60's. 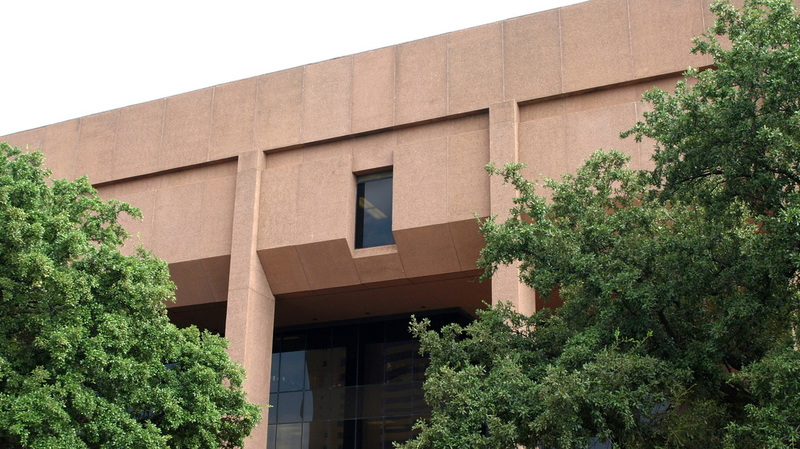 This courthouse is attributed to architect Jasper N. Preston & Son, of Austin. Preston practiced architecture in Austin from 1875 until he and his son moved to Los Angeles in 1886. Preston's best known building in Texas is the Driskill Hotel in Austin. 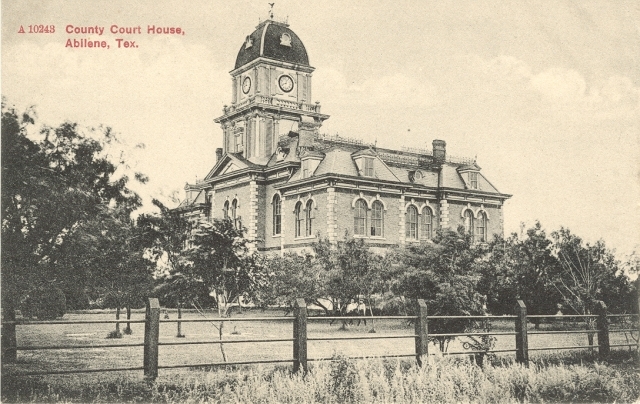 The 1883 courthouse was demolished in 1914. What a loss for Taylor County. 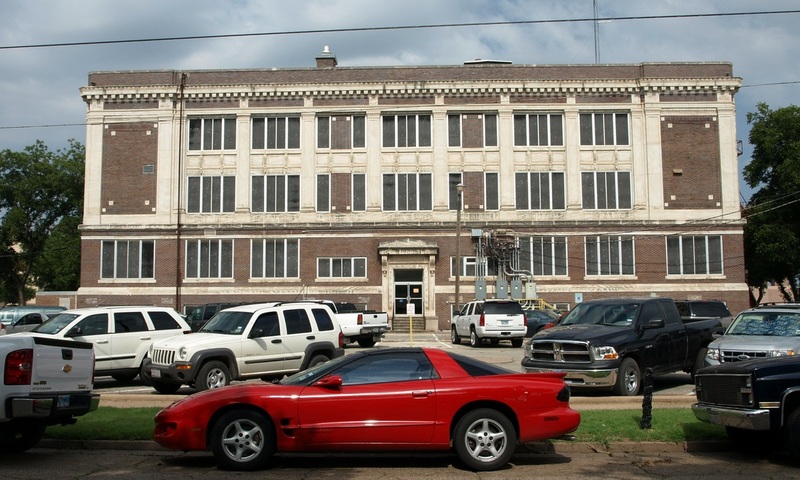 Designed by Waco architect George Burnett, this classical revival style building served as the Taylor County courthouse until 1972, when the current courthouse opened. 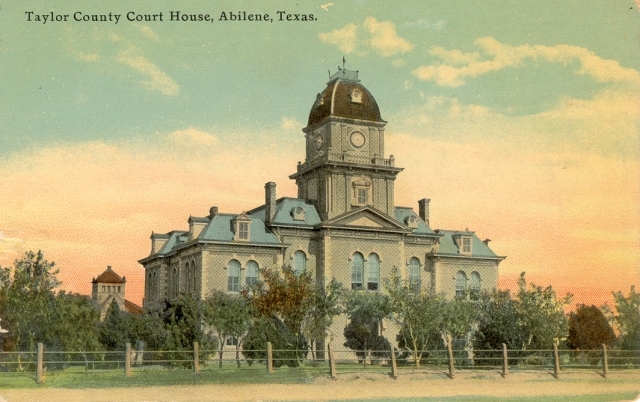 The 1915 courthouse is still used by the county for offices. This is the most remarkable collection of electrical weatherheads I've ever seen. 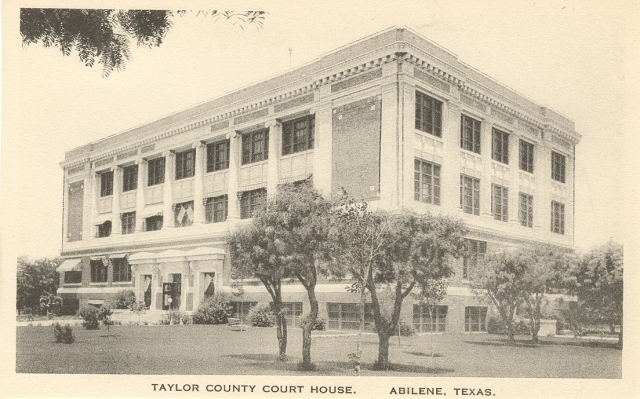 Abilene architects Tittle, Luther, Loving, and Lee designed this abstract building which serves as the current Taylor County courthouse. 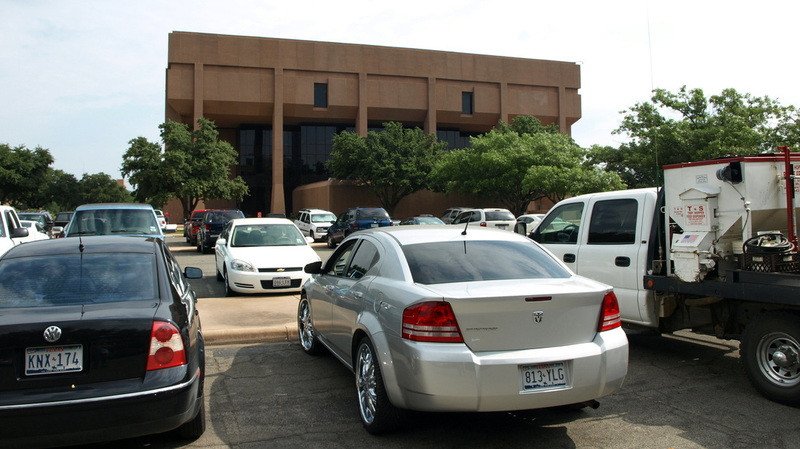 The typical "sea of cars" view of the courthouse. Abilene exists because of the railroad. The Texas & Pacific, now a part of the Union Pacific, crosses the center of town on an east-west axis.